• The core should be returned within thirty (30) days of the billing date, if not we reserve the right to reduce the credit by 25% for each additional period of fourteen (14) days of delay. • Cores received should be the same model as the one purchased. If another core model than the one purchased is return we will deducted from your credit, and the amount allowed for the core will be adjusted according to the market value, regardless of the amount indicated as a trade-in value in our catalogue. • There should be no missing parts (bolts, cylinders, etc.). • No modification made (stock condition). • Core in perfect condition for rebuilding (no damage, crack or welding). Complete standard old core. • Appropriate packing necessary for return without damage. when a rod breaks and it causes a crack or a hole in the housing. Additional costs will depend on the size and locations of the breakage. The core should be checked and inspected for the presence of damage before returning to CVTech-AAB. Available in the "Forms" section above. • You ship your parts “prepaid” via the carrier of your choice to CVTech-AAB. • You can take advantage of our reduced rates by shipping your merchandise collect by ground standard. The transportation fees will be invoiced along with your order. Use either Dicom, UPS or Purolator. appears on our shipping document or invoice. • A merchandise return authorization number (RMA) will be assigned. This RMA number must appear on your shipping documents. • Goods must be returned by the same carrier used for our expedition and appropriate packing is necessary. 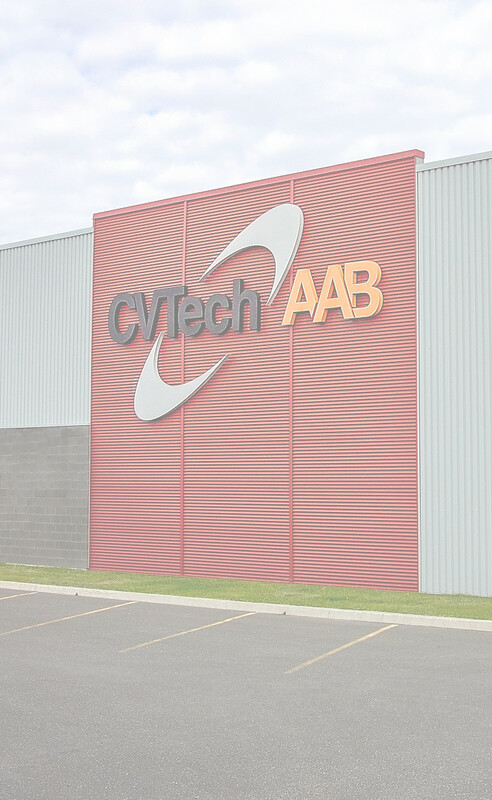 customer unless otherwise authorized by CVTech-AAB. Any additional discount on prices shown is only for authorized dealers. * Final version is available on our web site and overrides the paper version.